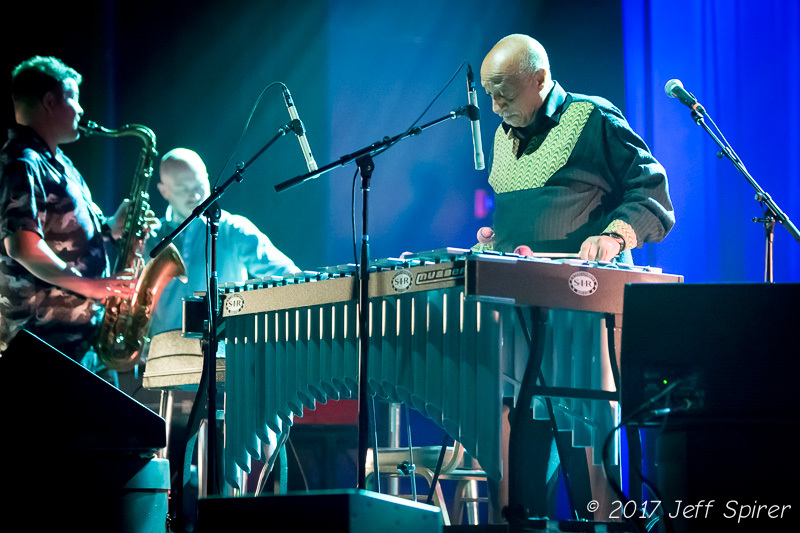 World famous musician and composer Mulatu Astatke touched down at the UC Theatre in Berkeley during a rare US tour. 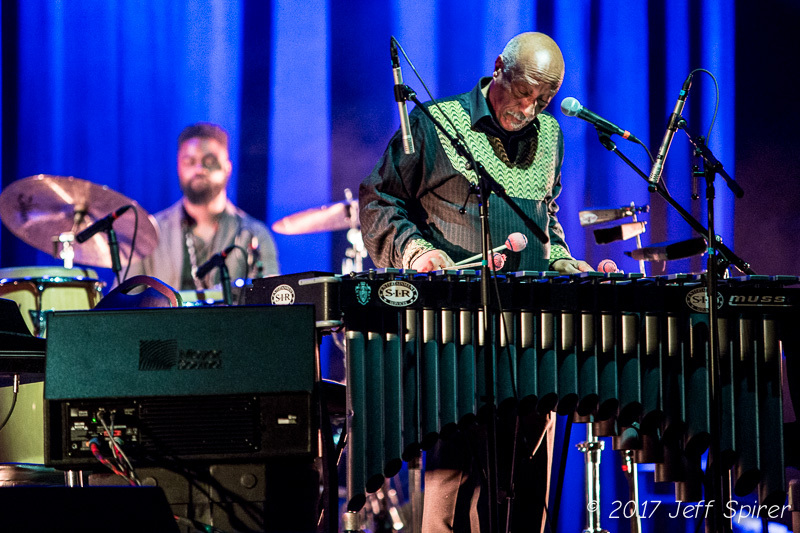 Known as “the Godfather of African Jazz,” Astatke is credited with creating his own genre of music, “Ethio-jazz.” He may also be the only person in the world who can make the xylophone look cool. 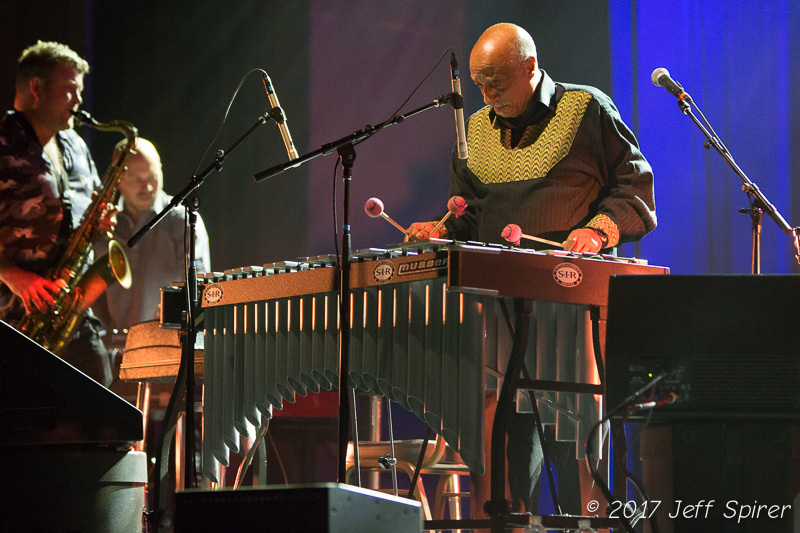 Technically, Astatke plays the vibraphone, a similar looking and sounding instrument more commonly used in jazz. 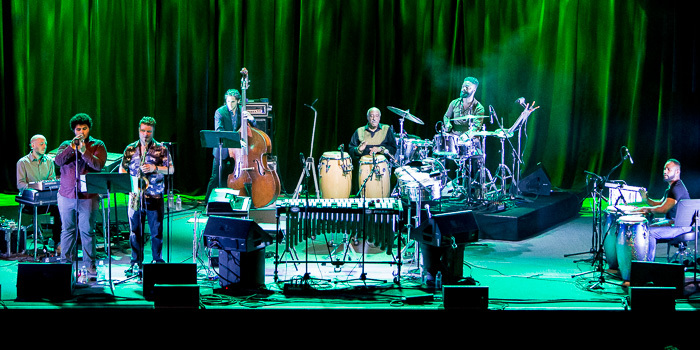 It’s distinctive sound is a hallmark of Astatke’s unique blend of jazz, Latin jazz, and African rhythms. Astatke has an unusual musical background – growing up in Ethiopia rooted in traditional African music, he moved to the UK to study engineering, but soon began studying jazz music. He then moved to the US where he became the first African student to enroll at the Berklee College of Music. It was in the US that he was introduced to Latin jazz. Initially, Astatke’s sound was described as a blend of three cultures: Ethiopian, Puerto Rican, and American. Later, he began infusing more funk and Ethiopian sounds into his compositions to ultimately give birth to Ethio-jazz. Astatke’s genre-bending music defies easy description, as does his live show itself. 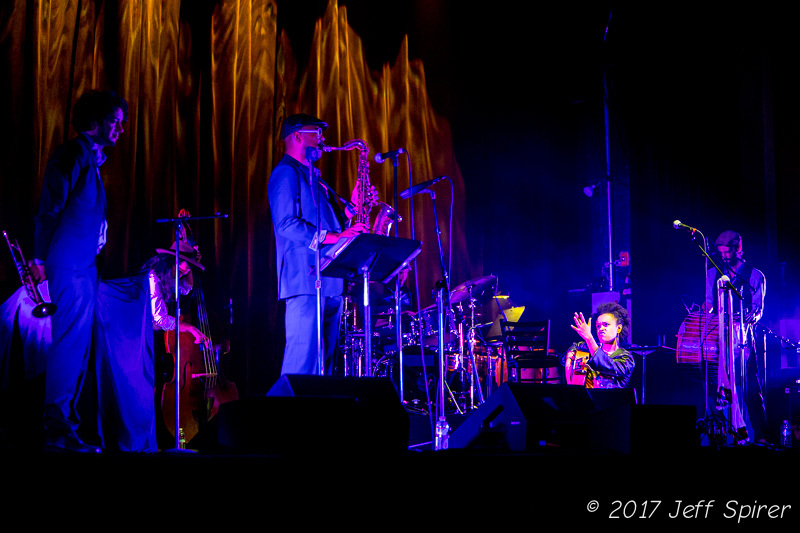 Jazz has been called a mood rather than a type of music, and from the musicians to the impeccable lighting, this show perfectly captured the dreamy, joyous mood of African jazz. 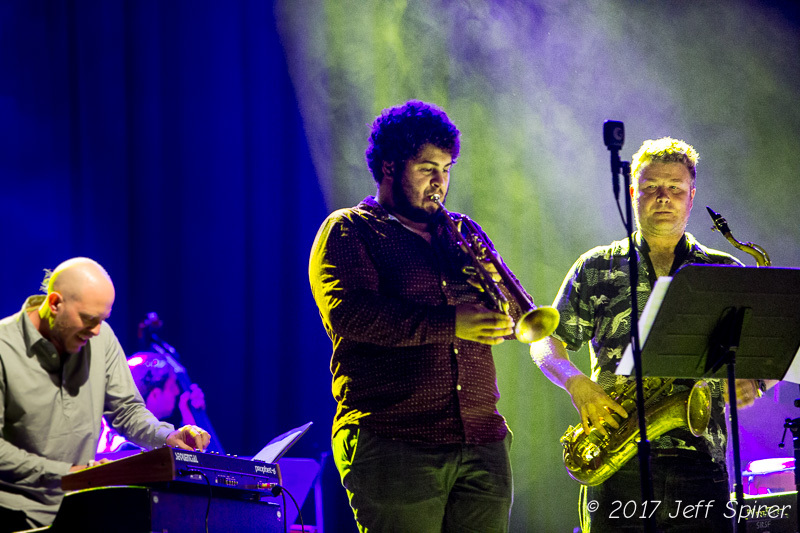 Astatke was supported by a full roster of stellar musicians, consisting of a percussionist, drummer, upright (double) bass player, keyboardist, and was rounded out by a trumpet and a sax player. That’s on top of the instruments Astarte himself plays- vibraphone, snare drum, conga drums and keyboards. 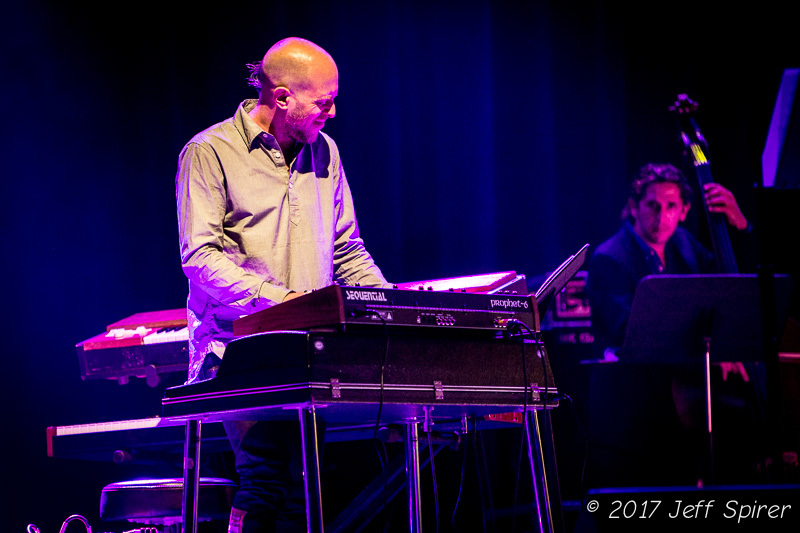 The set kicked off with Astatke performing some original compositions on his signature instrument, the vibraphone. His instrumental songs are clearly composed to spotlight the different instruments on stage, and he gives ample time to each musician to play alone without losing the thread of the melody in meandering solo after solo. One of the highlights was the upright bass player. In addition to the usual plucking that is standard in jazz music, his bow playing added a deeply emotional quality to the jazzy tracks. 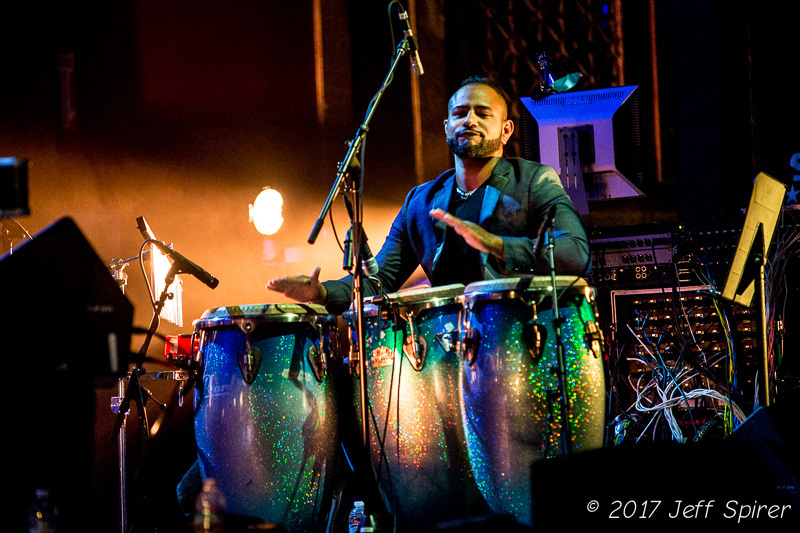 As Astatke moved from instrument to instrument, so too did the show move from slow, intricate melodies to danceable funk, all grounded in the African rhythms he grew up with. The audience was already on a high when Astatke began, thanks to local opener Meklit. Like Astatke, Meklit was born in Ethiopia, though she currently calls the Bay Area home. Her music ranges from very soulful Afrobeats to jazz to straight up funk. Meklit has as unusual a background as Astatke. She has been a TED Global Fellow since 2009 and once co-created the first ever hip-hop space opera. 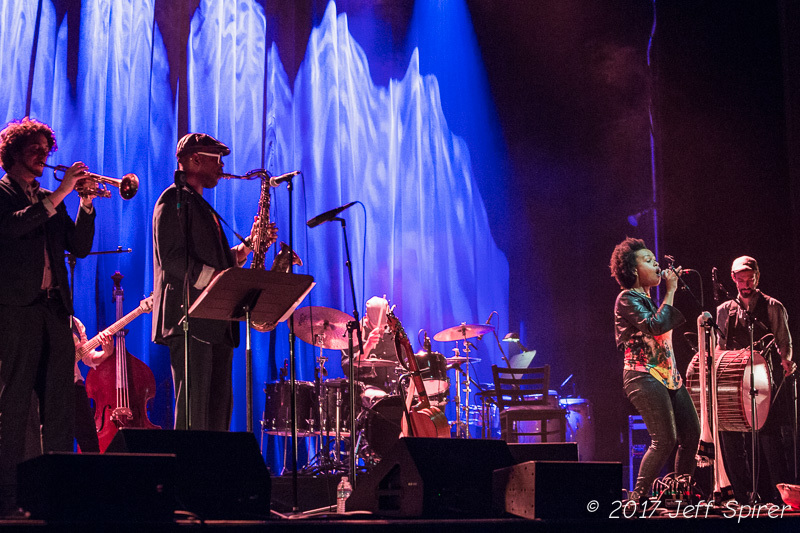 The San Francisco Chronicle called her “an artistic giant in the making” and the audience in Berkeley overwhelmingly agreed. 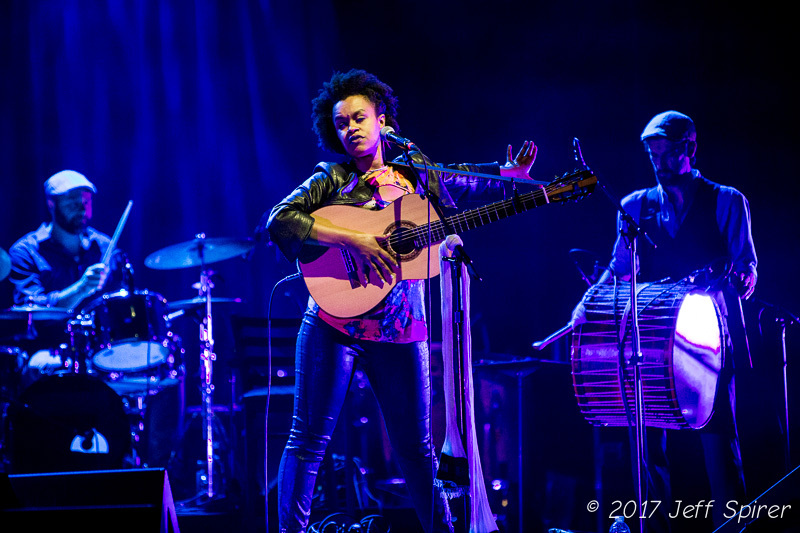 With an incomparable sound and powerful voice, Meklit is definitely a star in the making. Find out more about Mulatu Astatke here. 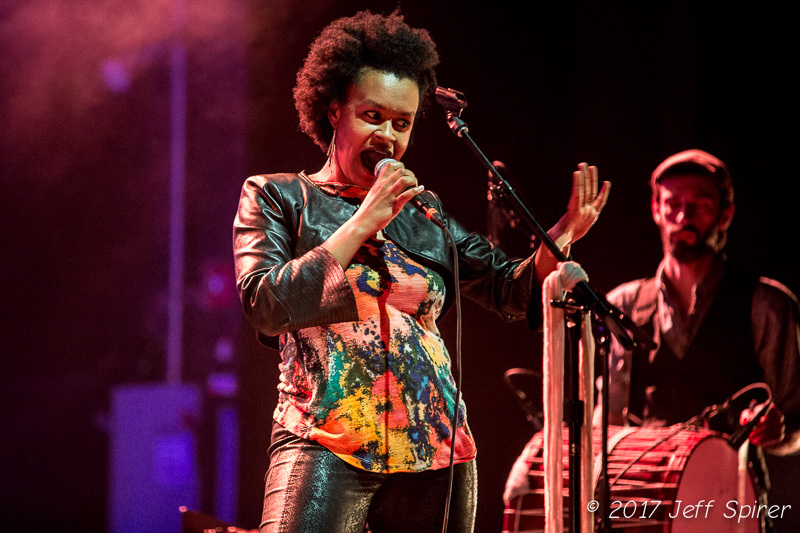 Learn more about Meklit on her website.